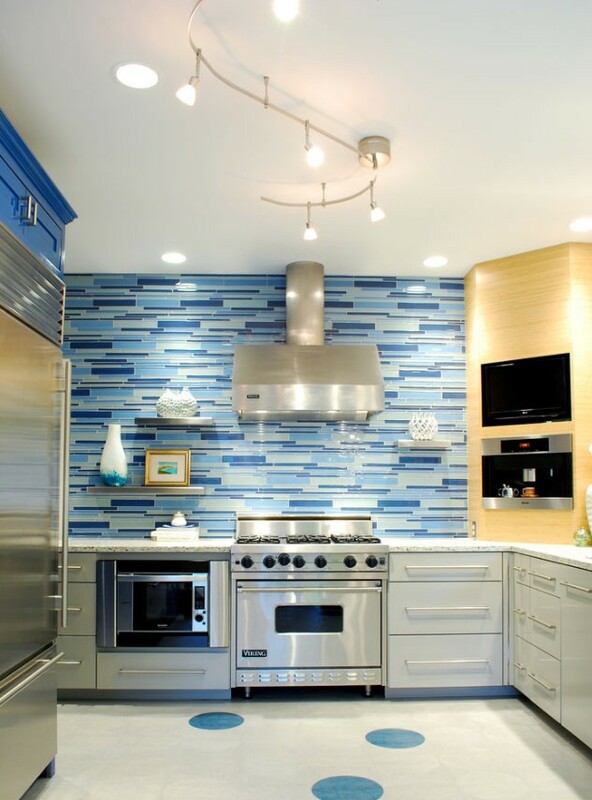 Modern kitchen is more than just the space for cooking and eating. 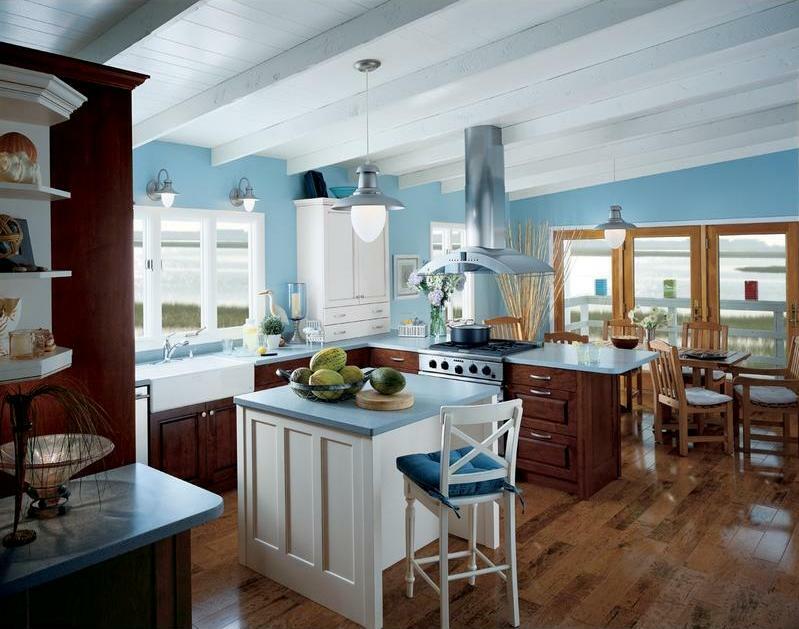 A kitchen today is also used as the space where all activities are taken place. 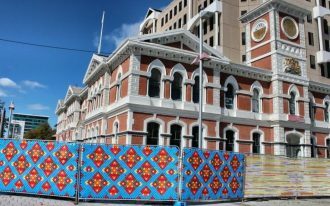 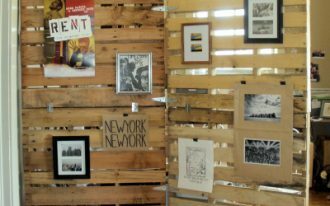 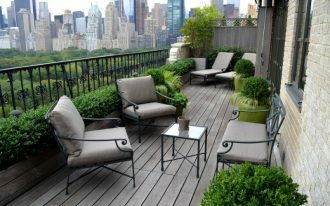 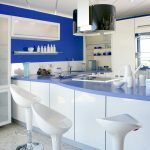 To support the activities, a kitchen is commonly supported with dining furniture, a set of entertainment furniture, and even a breakfast/ kitchen bar that can be used as the work desk as well. 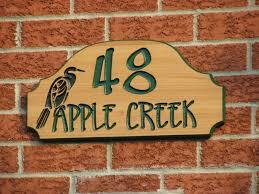 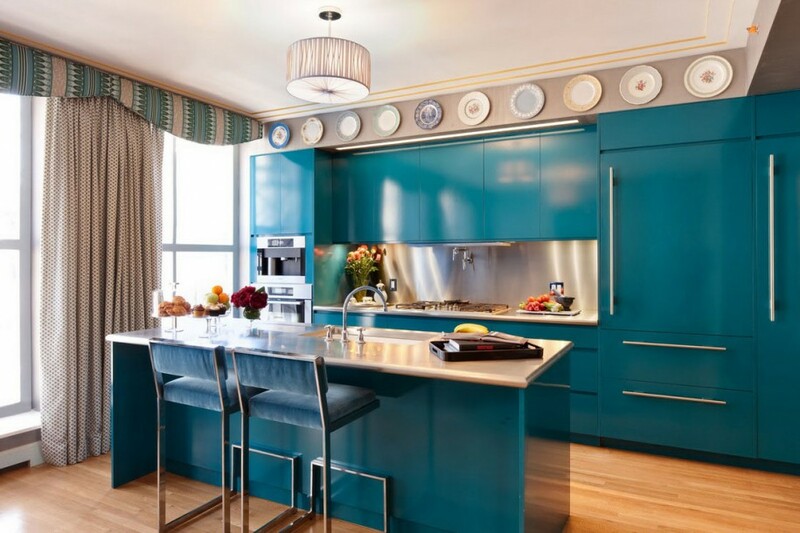 Such kitchen designs probably need special additional decoration to improve the kitchen look. 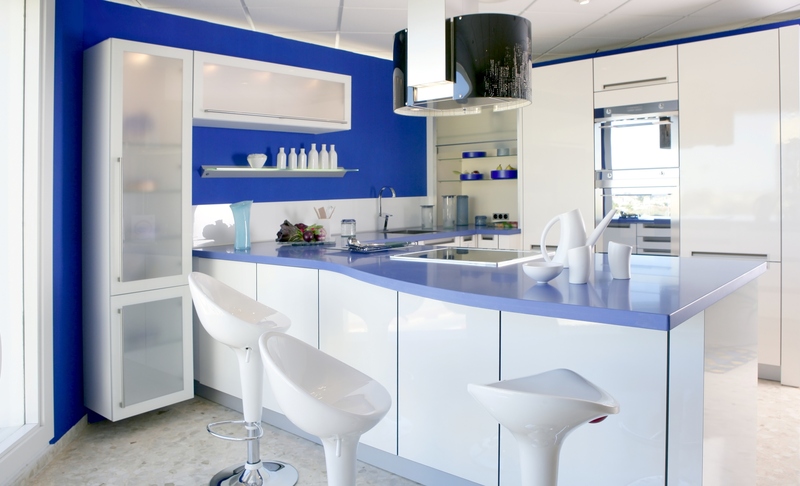 One of inspiring kitchen décor you can try to apply is blue kitchen décor. 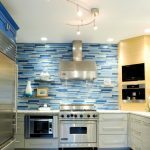 There a lot of options of inspiring blue kitchen décor ideas. 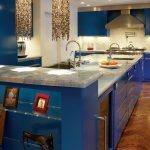 The blue theme here includes all elements of kitchen or several elements only, such kitchen cabinets, backsplash and countertop, kitchen island, barstools, kitchen appliances, wall systems, floor systems, or even dining furniture set in the kitchen nearby. 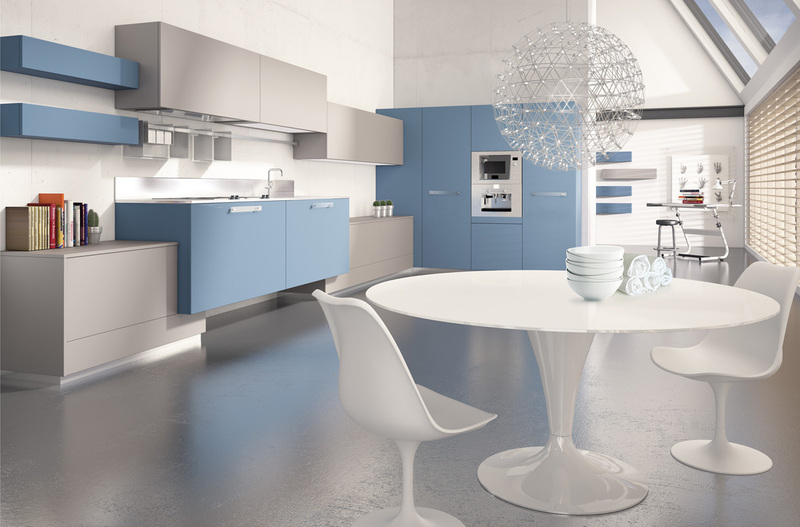 The blue color applied in blue kitchen décor consists of several options of color schemes. 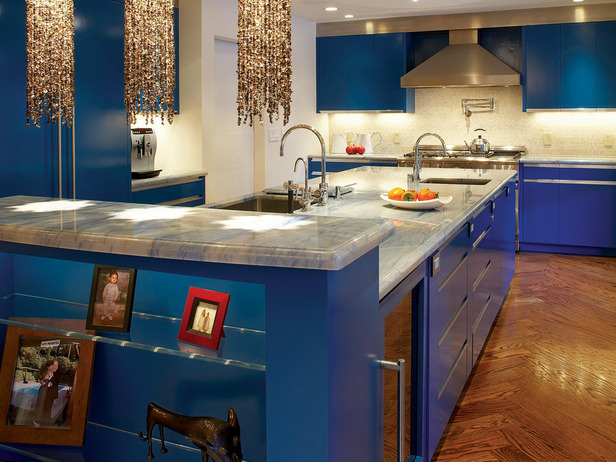 The color schemes include light or soft blue, deep ocean blue, turquoise, dark blue, and other blue color schemes. 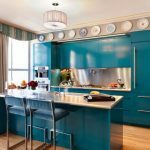 These colors suit any kitchen styles. 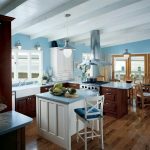 A blue kitchen décor is usually built for a private summer home where the blue color helps to create cold and fresh look of kitchen. 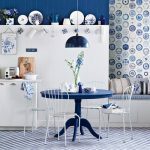 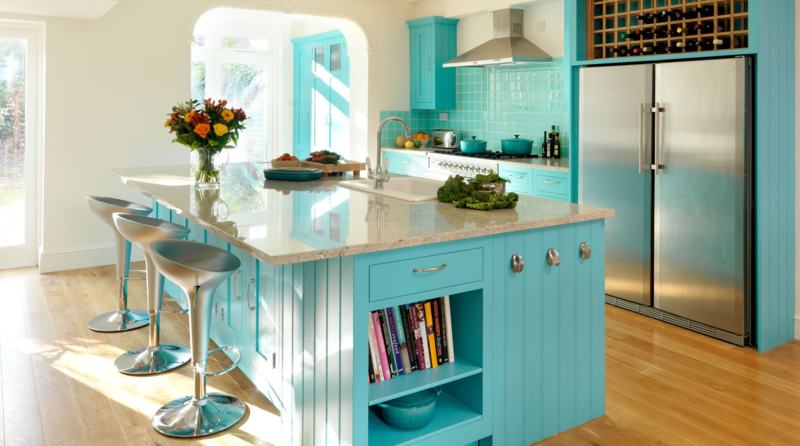 Blue is also identical with fresh water, so that’s why most summer homes owners are suggested to select fun and cherish color theme as the main room decoration, like this blue kitchen decoration. 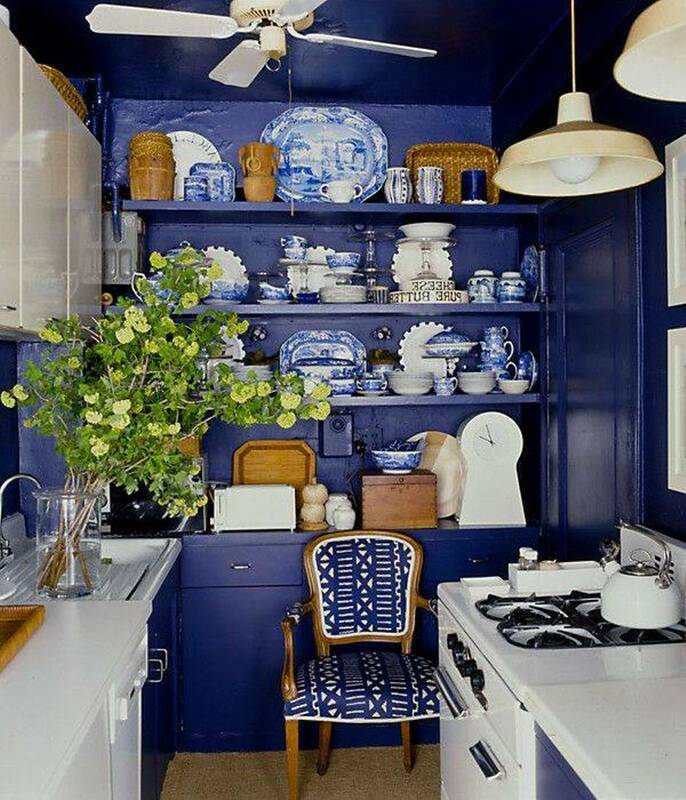 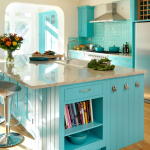 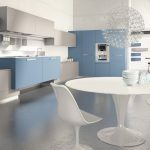 Blue kitchen decoration is so inspiring for you who dream of attractive and cool kitchen appearance. 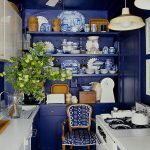 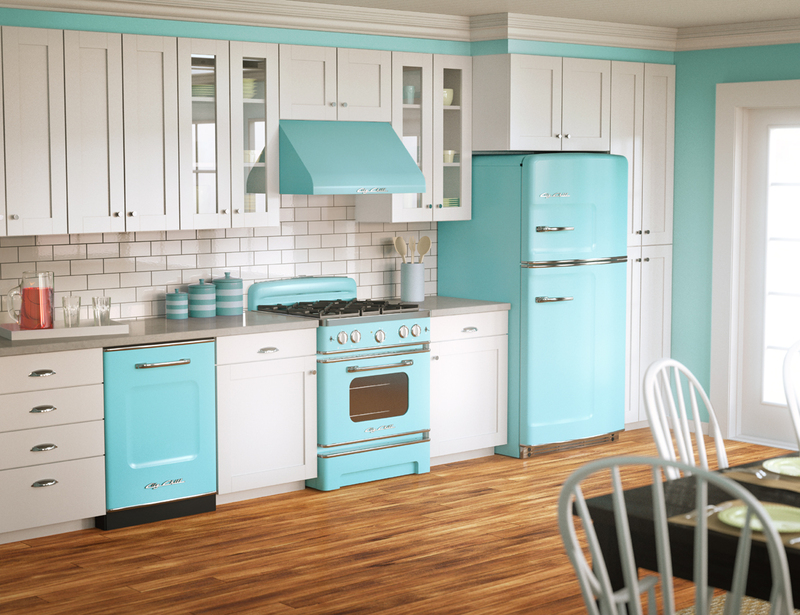 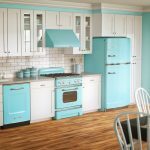 Here are some newest blue kitchen décor ideas you may adopt for your new kitchen. 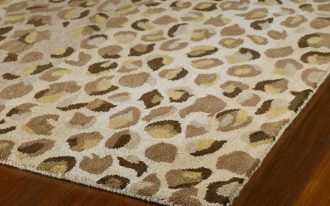 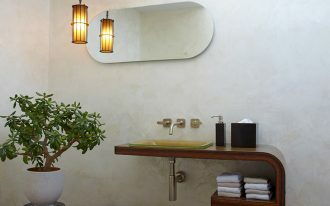 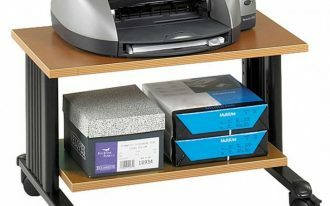 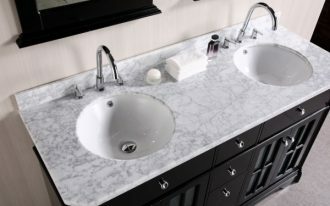 Just select one that matches your need and personal style.